Morning by Morning, August 7 - Let it Rain! "Ask the Lord for rain in the time of the latter rain. The Lord will make flashing clouds; He will give them showers of rain, grass in the field of everyone" (Zechariah 10:1 NKJV). Yes, Lord. Let it rain! 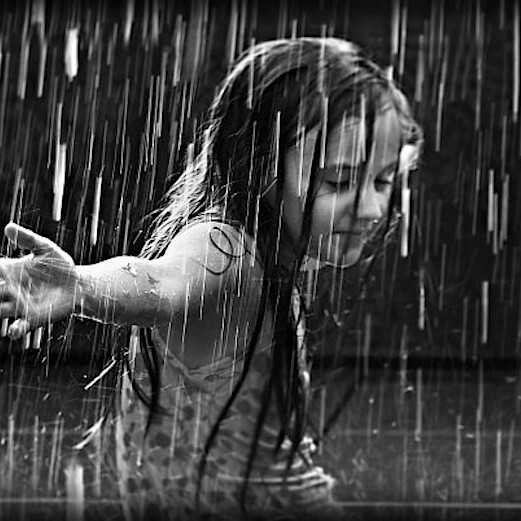 Let showers of rain come down -- everywhere we are weary and dry, thirsting for more, yearning for You. Let there be an outpouring of Your Presence -- here in my heart and here in our land! You're awakening a fresh hunger in my soul, a fresh thirst in my spirit. It's a fresh hunger and thirst that won't be contained or restrained, that won't be silenced or shut away or hidden out of sight. And it won't ever be fully satisfied because You are making me hungrier and thirstier still. In the mystery of my passionate pursuit for Your Presence, the more You let it rain, the dryer I become. And the dryer I become, the more my heart cries out, "Let it rain!" In Jesus' name I pray. Amen. My friend, I pray you keep growing hungrier and thirstier in your passionate pursuit for the Presence of the Lord, crying out to Him in your heart, "Let it rain! ", in Jesus' name! Please pray the same for me. God bless you, my friend! Friends, thank you for all your prayers for us at the Aldersgate West Conference in Tulsa, Oklahoma last weekend, the National Conference on Spirit Filled Living! We had a great outpouring of the Presence of the Lord and I'm hungering and thrusting for more! Thank you for your prayers for me as I had a chance to teach the minister inner healing and deliverance during my sessions on Setting Hearts Free and join in deep prayer ministry every night. I pray for a refreshing and awakening in your heart as well!